There are tens of thousands of music services that are working online to get the best for the user, to return every single penny that the user has spent. 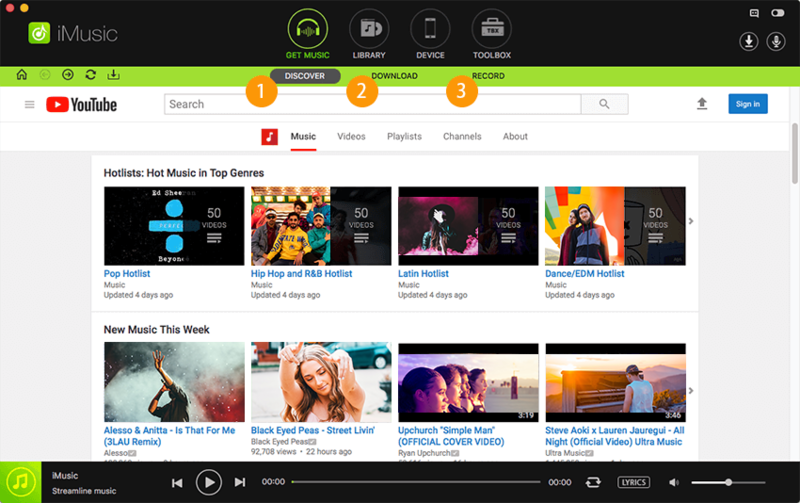 The users like the high quality services such as Deezer and Spotify and dumped the lame ones. For the music lovers all around the world, there is an unseen war going on as each one claims that the service that he uses is the best one. In this article the top services i.e. Deezer and Spotify would be compared, so that the users get what they are after or change their decision once they go through the content. There are many ways to distinguish the two services. However, the user needs to get to those points that affect the quality as well as the overall subscription base. A typical user has nothing to do with the product design or the availability as the internet is open to everyone. The relevant process can be followed to get the best information and apply it to make the product work even in the country where it is not available. 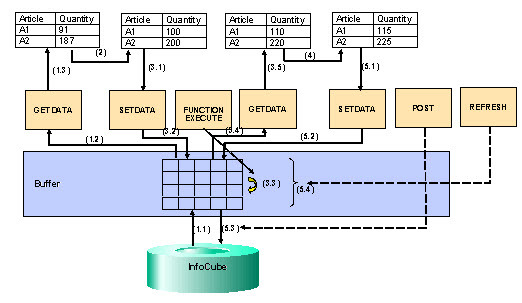 Following are the ten most important points that are to be considered before either of the mentioned service is chosen. The basic service of both Deezer as well as Spotify is free of charge. The premium charges vary, as for Spotify they are $9.99 per month whereas for Deezer they are $7.99 per month. The bit rate or the sound quality is same for both the types mentioned. Both services offer ad free 320 kbps if the premium subscription is used. The free service uses 128 kbps to lure in the user. The other features that are included by Spotify are the social media interaction and sharing which are also the ones which Deezer offer in the same manner. So the crux of the point is that Deezer is $2 cheaper than its counterpart under discussion. Mobile users are significant for any business, so they cannot be neglected. Unfortunately when it comes to Spotify, they have altogether neglected the Blackberry and Windows Phone users. It is the biggest drawback that has failed Spotify to get a great market exposure. Though an excruciating fact for the Spotify but the Deezer is support all the major mobile platforms namely android, iOS, Blackberry and Windows mobile. 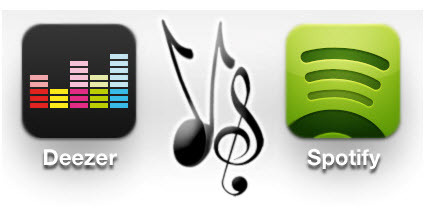 It is again time for the Spotify to get a beating from Deezer. The free subscription of the Deezer has 35 M songs that can be heard by the users without paying a cent. On the other hand, the similar subscription of Spotify has 30 M songs to offer. The difference of 5M has definitely taken Deezer to new heights without much effort. Deezer here lags far behind as compared to Spotify. The total number of Spotify users is 75M. On the other hand, Deezer has only 16M. So the difference is huge undoubtedly. The only fact contributing towards the pitfall of subscriber base is the fact that Spotify is far senior to Deezer in the music industry. However Deezer is working hard to get more subscribers on board. There are some differences on both sides when it comes to premium services. The Spotify premium service offers no ad free music and the user is forced to listen ads even if they are paying $9.99 per month. The Deezer premium subscription has no ads at all which means a seamless experience. The Spotify offers built in playlist and this is a feature which Deezer lacks. Last but not the least, unlike Deezer Spotify also provides Computer Algorithm Recommending. Deezer offers search criteria based on Artist, Genre and song only. On the other hand, the Spotify makes the life of the user easy. And in addition to the mentioned criterion the Activity, Decade and Mood are also induced so that finding the song is never an issue for the Spotify user. So when it comes to search criteria, the Spotify surpasses Deezer in every aspect and makes music a fun filled activity. 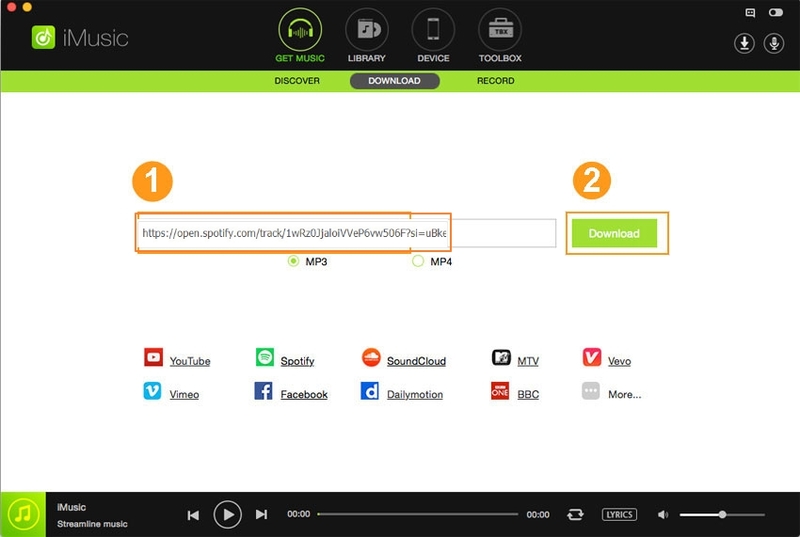 Spotify offers Email, text message, Facebook and Twitter syncing. It has altogether neglected the Airdrop syncing which is iOS based application. On the other hand, Deezer has neglected email and text message syncing and has included Airdrop to make things easier for iOS users. Both services have their own ideas on the third party syncing and none has covered all to get the best results to the users. However, Spotify has a large base. 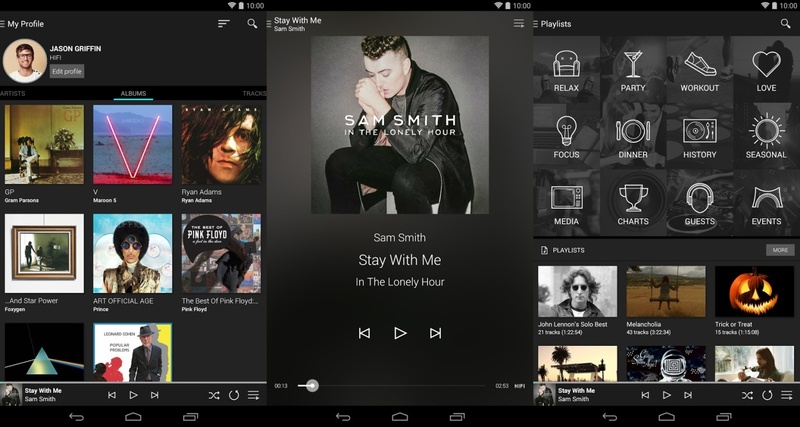 Spotify supports AV receiver, Car sound system, computer, theater system, smart phone, streaming media players, table top radio, TV and certain TV providers. On the other hand, Deezer only supports smart phone, TV, computer and car sound system, which makes Spotify the king of device compatibility. Deezer provides each and every mobile phone feature leaving computer algorithm recommending. Spotify offers no special services such as ad free music, like/dislike songs, rewind fast forward, sync local files and unlimited skips. The absence of these features using Spotify makes Deezer the best choice to get sound and reliable service that could be used on any mobile platform. The third party mobile integrations of Spotify do not include Airdrop, Facebook and Twitter, whereas Deezer is offering all these integrations to make its user base stronger than ever.